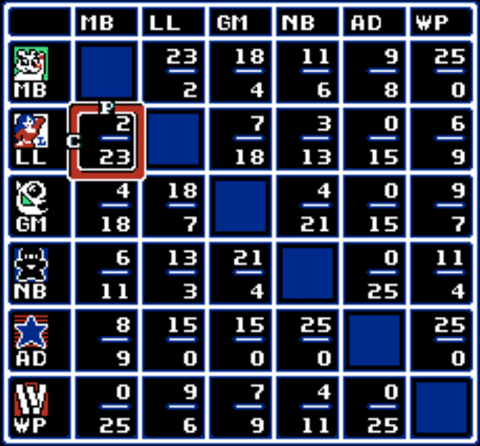 In 1989, SNK released the greatest baseball video game that has ever been made - Baseball Stars for the Nintendo Entertainment System. While other people I know were playing RBI Baseball with their real teams and white Jim Rice, my brother and I were obsessed with Baseball Stars. Why? Because this was the first baseball game where you could play a full season and it kept your statistics! Nowadays all games can save data to a memory card and keep all kinds of records, but 21 years ago that was not a common thing. To save your data on most games you were usually given a long numberic code that you had to write down and use your gamepad to type in when you wanted to continue. 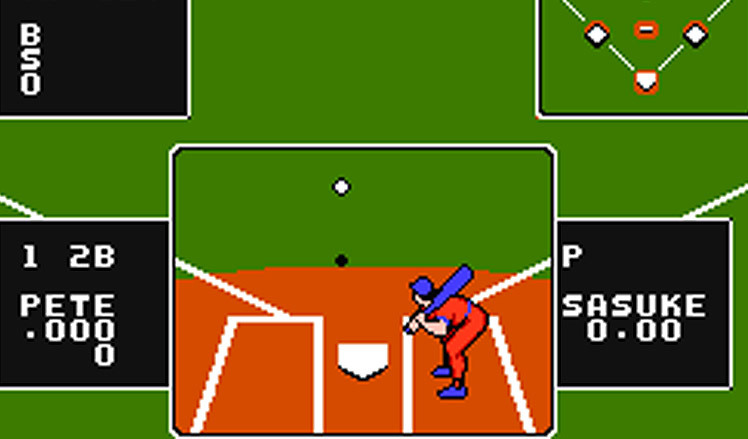 Baseball stars was different - the game cartridge itself had the memory stored on it so you could bring it to any NES and continue your season. And even better - you could create your own team! So while there aren’t any MLB teams in the game you can easily make your own team. In fact, that is the major object of the game - to create a great team. First you create a team and then you enter it into league play. There are 6 teams in the league and you play each of the other 5 teams 25 times - that is a 125 game season for those not counting at home. For each win you get a certain amount of money. If you beat an unpopular team, they won’t have a big crowd, and you won’t get much money. The better or more popular team you beat, the more money you get. With that money you can sign free agents and build up power and prestige for your current players. The better your players get - the more you’ll win. The more prestige you give to each player means that you’ll get bigger crowds at your games and you’ll start making more money - which you can then of course feed back into your team. You can cut players with not much potential and sign players with a lot of potential. By that I mean that some players can only get powered up so much and may not be worth keeping, while other players may be able to power up so much that they’ll hit a home run at almost every at bat. RIght now I running a team called the Methuen Beagles - and it’s made up of a bunch of my friends, including an all female pitching staff with my wife as one of the team’s aces. Um, no you didn’t hear me wrong. I did say - right now - as in, I am currently still playing this game after two decades, and I am almost through with the season. I am the team labeled MB and as you can see, those pesky American Dreams (basically a classic MLB lineup with first names only) give me the most trouble. While there are no playoffs, just playing a full 125 game season turns out to be enough - because it’s all about playing this fun game and making money so I can improve my ball club. If that doesn’t sound like the Major League - then I don’t know what does.